The MITIE London Revolution 2014 (185mile loop around London in 2 days) was going to be the biggest and longest ride we have ever attempted. In the past I have said we should do more more rides. 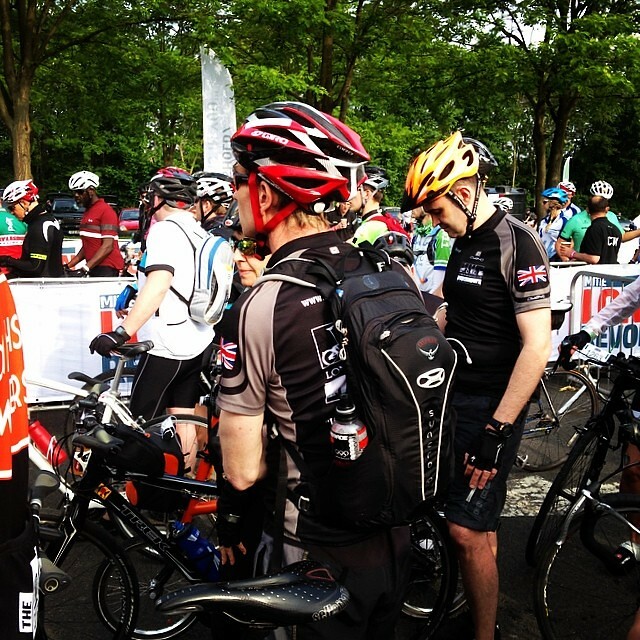 I always regretted when a few yrs ago we had the chance to do the London Nocturne but didn't. 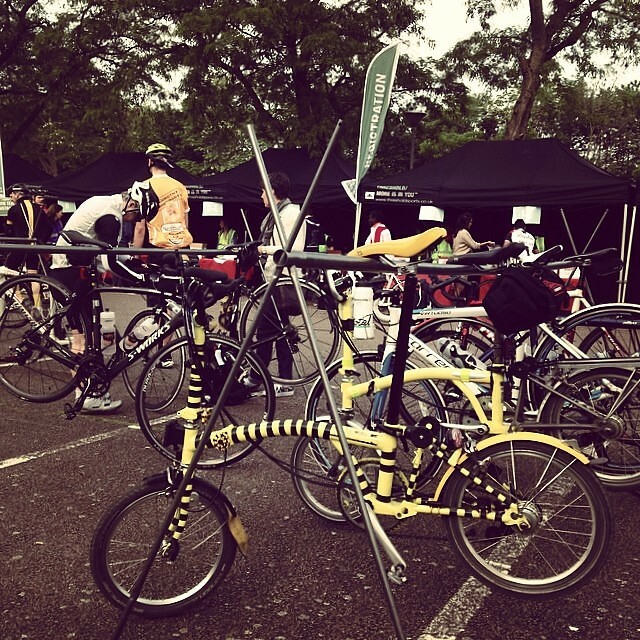 I still attended and cheered on OrangeBrompton in the folding bike race though. Ever since then I made a promised to myself to enter as many cycling events that I came across in my travels. To say I was abit nervous about doing the MITIE London Revolution 2014 was an understatement. The longest ride I have ever done before was 64miles. So this was going to be something huge, no not huge, LEGENDARY even. The starting point wasn't to far away at Lee Valley Athletics Centre. I did a couple of recce rides to the center to make sure I knew where I was going. I decided to meet up with Jenny H & Gus U at Tottenham Hale station at the last minute. 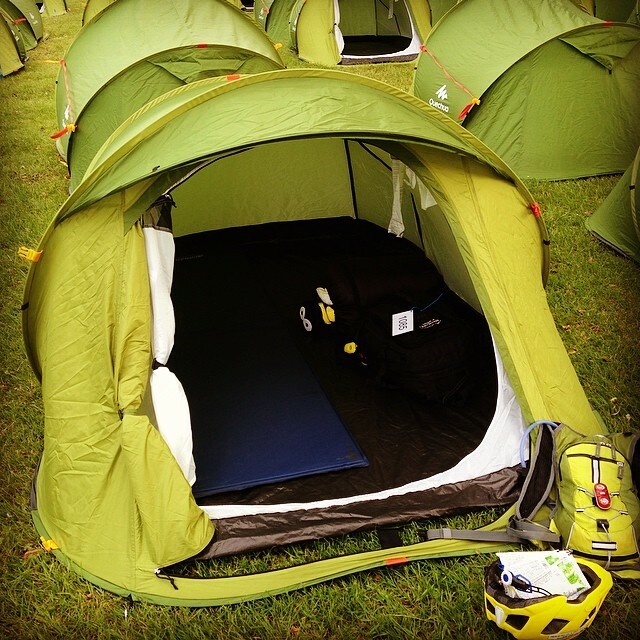 This would be the first time I would be riding with a big load on BBB EVER as I had packed for the 2 days of the MITIE London Revolution 2014 so with a packed rucksack with sleeping bag hanging off the back and my hydration pack hanging off BBB's handle bars we set off. After getting to the start area I was surprised what a transformation the Lea Valley Athletics Center had gone though. 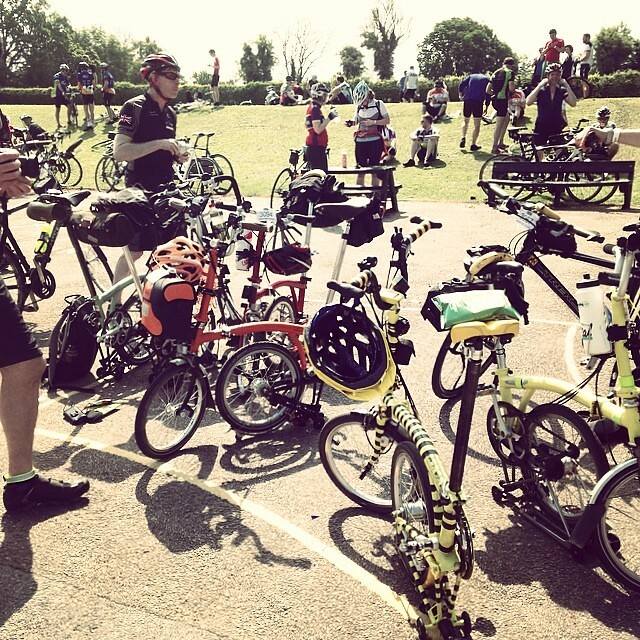 Less than 24hrs before it was just an empty car park, now there was 2000 cyclists including 5 Bromptons all gearing up to do 100 miles to Ascot Racecourse. A powerful sight indeed. As always at these events people where commenting on the legend, some had even read my little ramblings on my blog. After dropping off my overnight rucksack & putting on my hydration pack I was as ready as I'll ever be. I have to say I felt petty good about it, yes 100 is big distance but I was confident I could at the very least do that. Then the call for the next batch of riders was in line. I don't think Jenny & Geoff really knew what they where in for....neither did I.
I was pretty nervous but knew that once we was on the road those nervous would disappear as I wouldn't have time to think about it and just pedal. With the beeps of cycling computers being started, clicking of clip in pedals & the shouts of "Good Luck!" "See you at Ascot" we was off like a herd of metal buffalo. 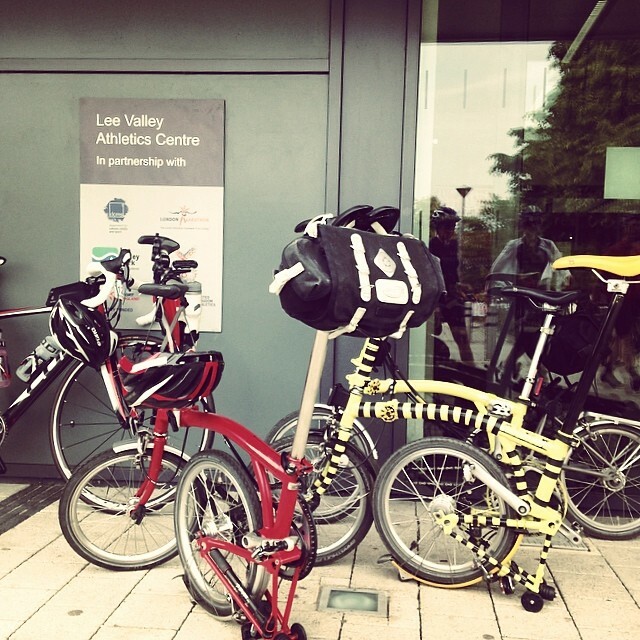 As we exited the Lea Valley site you could feel the buzz in the air of all the riders hopes and dreams of crossing the finish line at Ascot, just over 100 miles away. It was abit of a sight for the locals as many where pointing and cheering us on. In the streets of London I found that the Brompton was a very nimble compared to the "Big" bikes which I did take alot of satisfaction in showing as always. I have to say many times I heard from cyclists I was passing or the ones passing me, "Doing this on a Brompton? Your brave" I had to call out as they pasted me there was 5 more up ahead of me which they would have to pass as well. This was MY cycling event and I was doing it MY way. In the past I have tried to keep up with the speedier LBC members but I unfortunately not up to their levels, YET. Me and Jenny H where doing the 2 days of the event so knew we had to conserve our energy. The first 30 miles where not too bad I have to say, mostly getting out of London and onto the open country roads. I got to the first pitstop of the MITIE where there was lots of other rides taking on food, drink and refilling on all manner of powders and jells. After leaving the pitstop there was something I was dreading when I first entered the MITIE, the hills. I stupidly thought that in hills it would probably be a few biggish hills in-between flat kind of sections. I never really looked closely to the route profile, which of the course was my biggest mistake. On the decent of the hills from what I could see there was always a main road at the bottom so all that speed you had to stop at the bottom and then had to start from 0mph up another ascent. It was nothing but rolling hills one after the other with one HUGE hill for about 10 miles. I've never been good with hill but was trying my best. Up until this point my Garmin Edge 800 was telling me my average speed was about 12mph which I thought was pretty good but then when I hit the hills I was slowly but surely seeing my average speed going lower and lower. From 12mph, 11.5mph, 11mph..... it continued. I hadn't see anyone for awhile but kept on looking for the well marked out course. Not long after my average speed hit about 9.5mph while walking up another short sharp hill the sweeper car came along side me. I tried to ignore them to carry on but I knew deep down I wouldn't be able to continue on. The MITIE folks where really good and supportive in saying I did pretty good to get this far but it would be best not to try and push any further as the course just got worst with the rolling hills. I was supplied with water and sweet snacks while waiting for the sweeper mini van to turn up to pick me up. 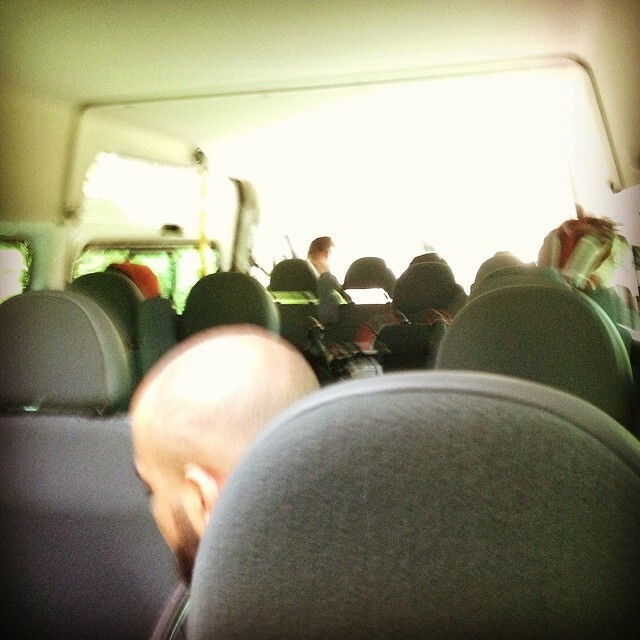 I managed to get BBB folded and into the back of the van where there must have been about another 6 tormented souls. Even though we hadn't finished the course the energy level of the people in the van lifted me a little as by that time I was just about ready to cry. Talking to the other cyclists in the van also reassured me that we hadn't failed what we was trying to do. Some had pulled out due to injury, mechanical problems or like me just plain knackered. Everyone had a little story to tell in why they wanted to do this ride and stories of their training and what they would do different for next time. This in turn helped me focus on what was the most important part of the whole day for me. Attempting to do something I have never done before, to push yourself beyond your limits because sometimes you may even surprise yourself. While in the van we passed my LBC gang who where quiet far ahead of me, maybe 10miles or so. As I passed in the sweeper van I waved to cheered them on as I could see in their faces that this was a very tough ride. 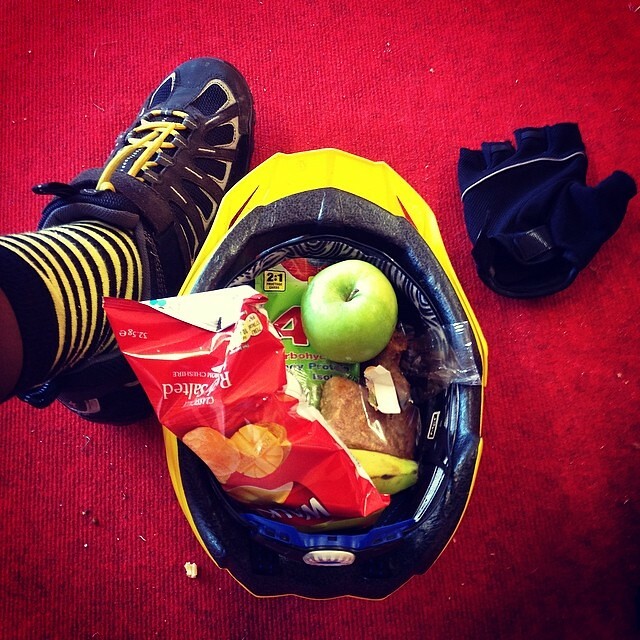 I got to the next pitstop and had some sandwiches and jelly babies etc to get my energy levels up because I had a choice to make. Either to try and ride the last 30miles to Ascot Racecourse or carry on in the sweeper van to Ascot Racecourse. I decided that even after refuelling I would probably flake out in a short distance and that would have been even worse for me. I managed to see the other LBC members gave them my support before the sweeper van came along to take me and a few other cyclists all the way to Ascot Racecourse. As I paid for the full event my plan was to stay over night and then see how I felt in the morning but I knew that with the 2nd day being even more BIG hills that I wouldn't be able to do it even though it was 85 miles. So in the morning I would make my way back to the HiVE. 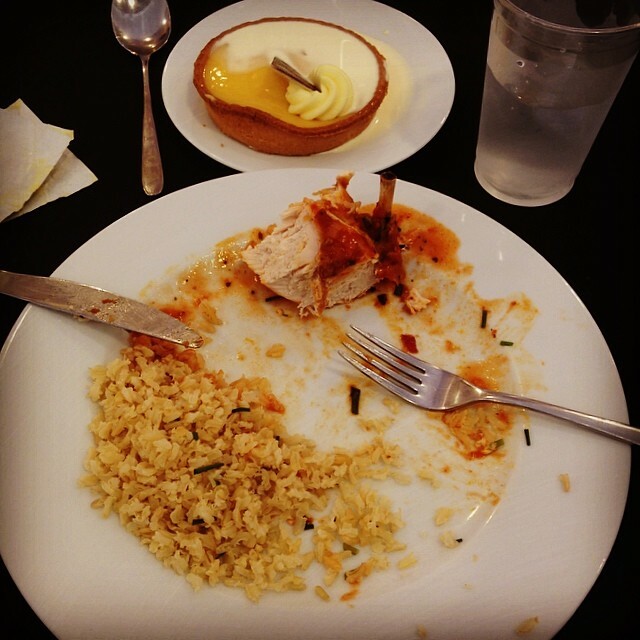 After a good shower, change of clothes and some amazing food in the Ascot Racecourse I decided that when the others arrived I would make my way back to London with them so atleast I wouldn't be alone on the long trip home. 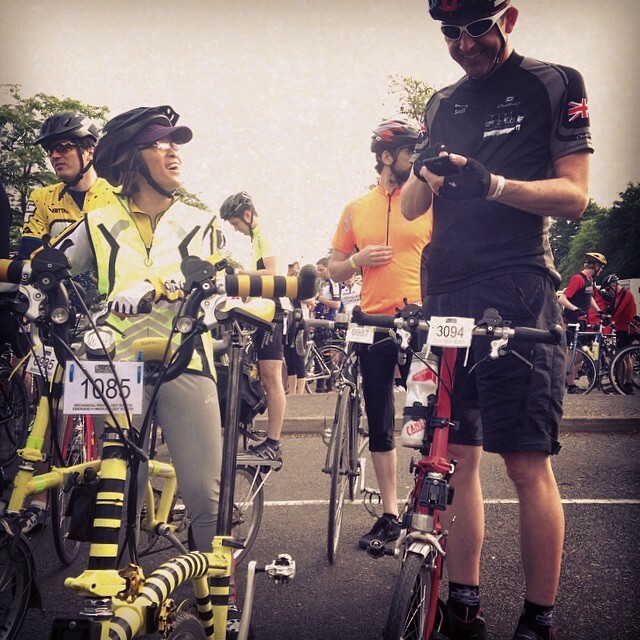 I changed into my now famous Bumble Bee cycling top which again proved to be a crowd pleaser. As I walked around Ascot a few people commented on how great the Bumble B top was and even asked to take photos. I was invited to sit with Bob H and his friends while I ate my delicious dinner. As BBB had been put in a separate van and wouldn't be at Ascot Racecourse for awhile. I decided to wait near the finish line to see David P, Mr. O, Ann M & Jenny (Mile Monster) M & Geof S rolled on up. After a little rest and food BBB still hadn't arrived and was getting a little worried but then I spotted the van and knew BBB was there. I ran over and saw BBB all wrapped up in bubble wrap as well as all the other bicycles. With the big bikes being so big BBB was this tiny little bubble wrap bundle of legend. I had missed BBB. I grabbed BBB and made my way back to the tent to gather my rucksack & sleeping bag. As I was walking to my tent some MITIE photographers asked if they minded if they took some shots of me walking between tents. Having grabbed my belongings we left leaving Jenny H who even had a tough ride was going to stay for the night and see how she felt in the morning before deciding whether to do the 85 miles on day 2. I am proud to have done MY 41 miles of the MITIE London Revolution 2014 NOONE can NEVER take that away from me. Better to have made the attempt and fail than to never have made the attempt and keep wondering if you could or couldn't do a thing. There will be more rides in the future. Some I will not do so well in. I have made the attempt at doing something that I wouldn't have even thought of doing last year. I am getting stronger on each and every ride. I'm not the same person that I was before I got this freaky little fold up bike. The people that we have met. The 1000's of miles we have ridden. The memories we have made good and bad. I wouldn't change any of it & I thank each and everyone of you personally for your support and encouragement along this journey and I hope we get to ride together real soon. 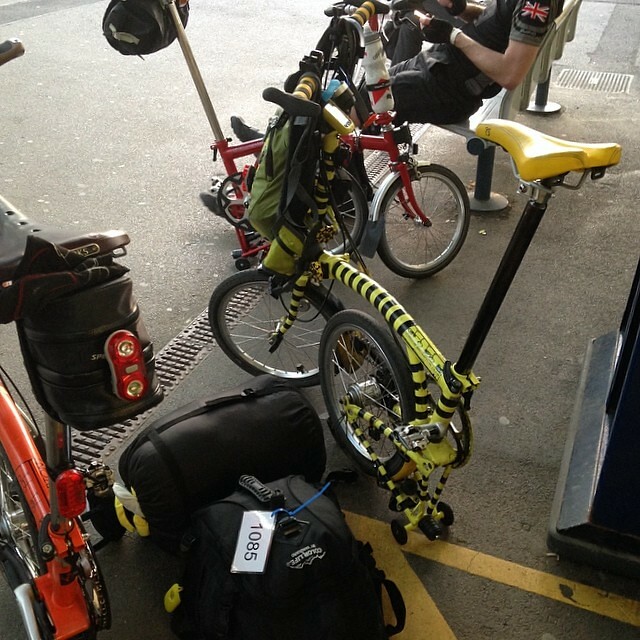 p.s I have just heard that Jenny H had COMPLETED the MITIE London Revolution 2014 on her Brompton. oh and thank you Martin, I'll will still be on the road don't worry about that, just have to start working on the hills more.